5 Hour Premium Hosted Bar Open Bar 9pm – 2am. At Emerson Theatre, Los Angeles glam-and-burlesque-infused VIP nightclub, the Emerson Theatre NYE 2015 event is going to be a provocative affair. Blending the decadence of Prohibition era and the swankiness of contemporary Los Angeles nightlife, Emerson Theatre presents a NYE party that brims with class. 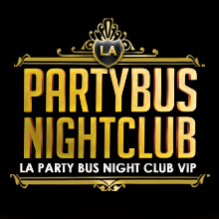 Get ready for the trendiest LA evening party crowd and the most scandalous, megawatt New Years revelry to fulfill your vibrant party fantasies. This New Years Eve, descend into old-Hollywood glamour with cutting-edge L.A. nightlife at the NYE Emerson Theatre 2015 extravaganza. The swanky nightclub will kindled the night with a 5 hour premium open bar. Bask in the Emerson Theatre NYE 2015 intoxicating atmosphere and mingle with L.A.’s beautiful revelers as festive NYE party favors add a glow of holiday spirit. Emerson Theater’s state-of-the-art visual and sounds well be taken over by a special live deejay, as he seduces the crowd to the spectacular dance floor with red-hot hits of Top 40, House and Hip Hop, followed by a special performance by DIRT NASTY! At midnight, this wild NYE bash reaches a climax with an exhilarating live count down, made complete by a complimentary champagne toast. Join L.A.’s chic celebrants at the Emerson Theatre NYE 2015 New Years Event. This trendy and high-voltage nightclub has all the seductive indulgences to make for a magnificent NYE. For the velvet-rope aficionados, NYE Emerson Theatre 2015 offers a host of VIP tickets with exclusive bottle and table service, reserved seating and more. For more information, contact Jamie Barren at 310-749-9029. Be sure to get your tickets early as this popular event is sure to sell out quickly. Purchase Emerson Theatre NYE 2015 tickets early to save big money. Emerson Theater is a premiere L.A. nightclub with a reputation for class, glamorous ambiance, and artful contemporary burlesque. Evoking the opulent allure of Old-Hollywood, Emerson Theater boasts sweeping staircases, glistening canopy lights and deep booths and banquettes. In addition to the artistic and provocative burlesque performances, L.A. fashionable partiers flock to Emerson Theater for its cutting-edge sound and lighting, as well as its elegantly seductive atmosphere.